Guided by more than 20 years of experience in producing industry leading identification technologies, HID Global provides a full spectrum of ID card printing solutions that ensure ease of use, reliability and the highest levels of security. World's broadest portfolio of advanced ID card printers and smart card encoders. The most extensive portfolio of smart card based credentials for access control and payments. 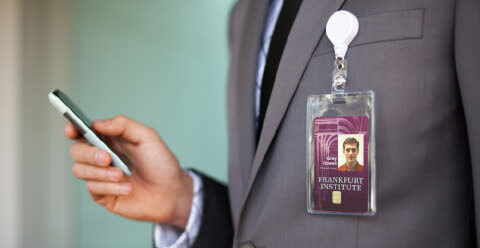 Leverage the design and production expertise of the world's leading provider of ID badges. Software to handle card design, encoding, printing and visitor management. Genuine HID print ribbons, laminates and holographic images. HID Global's ID card printers and encoders are used by governments, enterprises and universities around the world. Read about the experiences users are having with the badge printing technology. The printer’s modular design enables easy upgrades to card encoding technologies when Action Ambulance Service is ready." Need Customization or Maintenance Assistance? Our industry-leading experts can customize your end-to-end solution implementation and provide maintenance assistance to maximize your advanced ID card printing and encoding investment. Consultation & Integration – Finding the best integration pathways to maximize your investment. Customization & Configuration – Enabling customized solutions to empower you to reach your unique goals. Maintenance – Providing maintenance and functionality upgrade services to enhance customer experience. Learn how the proliferation of mobile phones has transformed proof of identity to now include mobile IDs. Discover how new, cost effective visual security features can reduce your risk. Learn about the technology making high volume, distributed issuance programs successful across a variety of industries.